While traditional legal representation is the preference and certainly has its advantages, there may be times when clients’ budgets do not allow for the cost associated with having counsel of record. 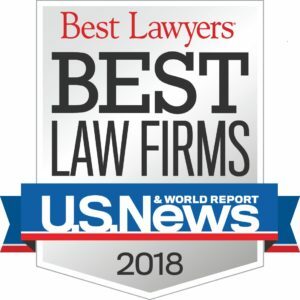 Luckily, there is an alternative option for those clients who need some legal assistance, but are not able to fully retain an attorney for full blown legal representation. 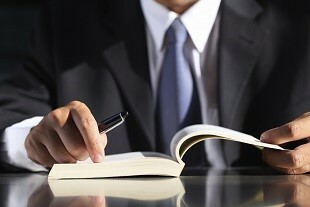 The usual attorney representation involves a client hiring an attorney, paying a retainer to the attorney, the attorney entering her appearance in the case of record, and then the attorney is responsible for assisting the client through each and every aspect of the case, including attending mediation and court with the client. In this traditional legal representation, the attorney also prepares and files all documents with the court on behalf of the client and assists the client through the case from beginning to end. The Colorado Rules of Civil Procedure now allow attorneys to provide unbundled legal services, also known as limited representation services, to clients. The best way to think of unbundled legal services is as an opportunity to consult with an attorney on an as-needed basis. The attorney does not enter her appearance as the client’s attorney of record with the court. The attorney only does what is agreed upon with the client, such as only assisting with drafting, brain-storming. Unless agreed upon with the client, the attorney does not attend court hearings, or attend mediation with the client, but prepares with the client in advance of each. It is the client who is responsible for filing his own documents with the court and for complying with all court deadlines and requirements. However, the attorney can assist the client in learning of those deadlines and requirements, as well as preparing the necessary documents for complying. Examples of how unbundled services can be utilized include assisting the client with complying with the mandatory financial disclosures required in family law cases, running potential child support calculations, brainstorming what experts would best serve the issues raised by the facts presented, and formulating a settlement offer. Each of these steps can be daunting, but a skilled lawyer specializing in family law representation can be of great assistance. One of the biggest benefits of unbundled legal services is that it offers a client the opportunity to obtain legal advice and gain an understanding of the complex legal system, rather than go it completely alone due to financial limitations. The key for this to be successful for the client is quality limited representation. The Law Offices of Brenda L. Storey, P.C. provides that quality. This quality unbundled legal service can truly make a difference. Please contact our Denver family law firm to set up an initial consultation so we may discuss unbundled services in Colorado. Call (720) 583-2325 or email us.